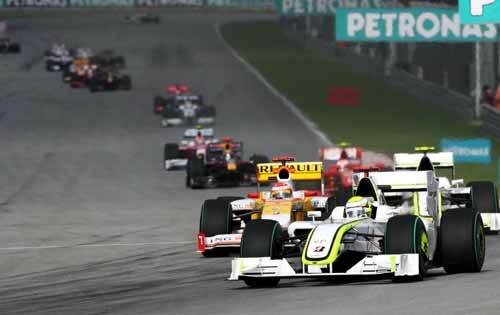 Pole Position – The driver to have posted the fastest single lap time gets pole position. This means he heads the racing grid come race day. 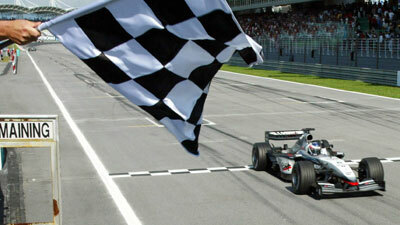 Chequered Flag – Waved when the Race leader finishes the race. Safety Car – This season’s safety car is a Merc SLS AMG. 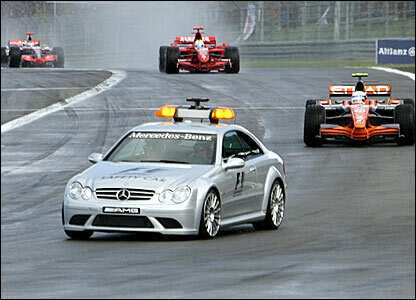 When there’s been an accident on the track or when the conditions aren’t suitable for racing, the safety car is introduced. It sets the pace and all others have to follow the safety car. No over-taking is allowed while the safety car is on the track. Slipstream – Those familiar with the NFS franchise will know another word for slipstreaming – Drafting. Slipstream is a region an F1 car which has minimum wind-resistance. 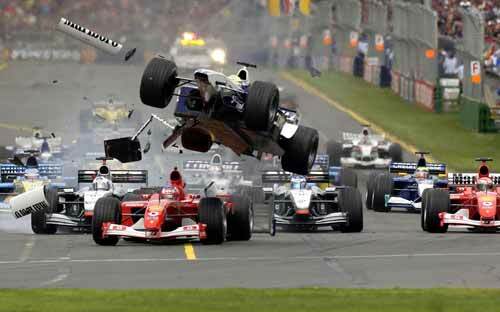 An F1 car is designed such that it forces air to flow around and over it, offering minimum resistance. If another F1 car were to...err...slip in to the slipstream behind, it would experience even lesser wind-resistance. Rain-shadow region if you will. This makes for faster over-taking manoeuvres. As with any motorsport series, the rules make a huge difference to the sport. Here are crucial additions to the F1 rulebook this season. The 107% Rule – All drivers must finish their qualifying laps within 107% percent of the Pole Position Time, failing which they will not be allowed to participate in the race. DRS – Drag Reduction System includes but is not limited to adjustable wings on an F1 car. During qualifying the wings may be adjusted any number of times but during the race the Driver may adjust the wing to reduce drag only on specified segments of the circuit and only when he’s within 1 second of the car in front of him. Pirelli – Those who have been following F1 for a while now will recollect the old Bridgestone-Michelin rivalry. Those were the days. But now Pirelli are the official tyre suppliers for F1 races. KERS – Kinetic Energy Recovery System – is back! The Carbon-fibre disc brakes generate a lot of heat energy under heavy braking. (Watch closely and you will notice the red hot brake discs in F1 races glowing in orange.) KERS stores said energy and this energy reservoir is called upon to boost acceleration when needed. Lithium Ion Cells are used to store energy and their capacity is limited to 400KJ. Minimum Weight – Cars must now weigh a minimum of 640 Kilograms, up from 620 Kgs last year. No Double Diffusers – The rules have been tightened which means no more loop-holes that allow double diffusers. With the new rules coming in to effect this season, the focus has shifted back to Pit Stop Strategies. F1 Pits Stops really are breathtaking. Where else would you see 4 car tyres being changed in less than 4 seconds? Here’s what Wikipedia has to say about the key personnel in a Pit Crew. The "Lollipop Man" holds the team's pit sign, helping the driver identify his pit stall on a possibly crowded pit road. During the stop, he holds the sign in position to remind the driver to keep his brakes on while tires are being changed, and then to remember to put the car in first gear once the jacks are lowered. 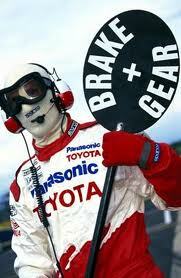 He also gives the driver the sign to depart his pit stall by raising the sign from in front of the driver. The four tyre changers, one at each corner of the car, have the sole responsibility of using a pneumatic wrench to remove the car's single locking lug nut from each tyre, then reinstall it on the new tyre. Eight tyre carriers are used, two at each corner of the car, one assigned the task of removing the old tyre from the car, and one to install the new tyre on it. The front new tyre carriers also have the responsibility of adjusting the car's front wing during the stop. The front and rear jack men use simple lever-type jacks to lift the car and permit the changing of tyres. The job of front jack man is considered the most hazardous, as it requires standing directly in front of the car as it enters its pit stall. By contrast, due to the location of his duties directly behind the car, the rear jack man is the only team member not in his working position before the car enters its pit stall. The fire extinguisher man does not actually work on the car; instead, he stands ready with a hand-held fire extinguisher to try and stop any accidental fires that may occur during a stop, at least long enough for the pit crew and driver to evacuate. This job became standard following Jos Verstappen's 1994 pit fire. The starter man does not normally work on the car. His job is to stand ready with a starter tool to restart the car should the driver stall his engine during the stop. That’s everything you need to know. I’d right about flags used in F1 but I think you would be bored to death. 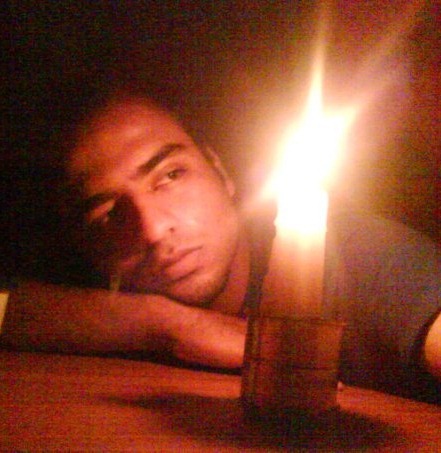 And as the lights go out, the Indian Grand Prix is gooooooo!